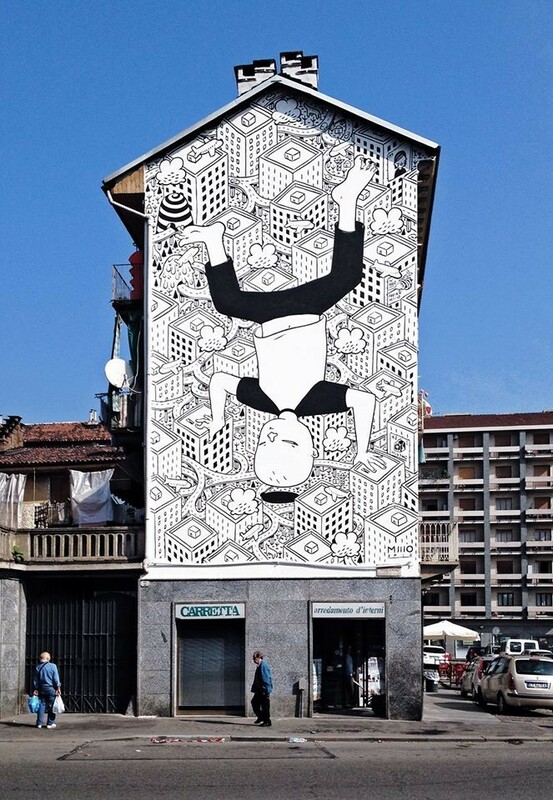 13 building facades have been transformed into works of art in the Barriera di Milano neighborhood of Turin. 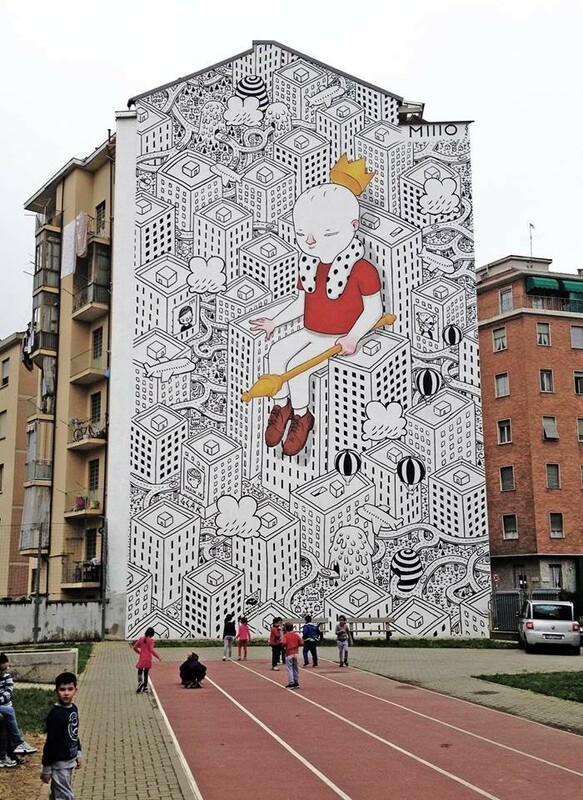 Street artist “Millo” graced the surfaces of the buildings after being dubbed winner of B.ART, a competition which seeks to add beauty to urban areas through art. 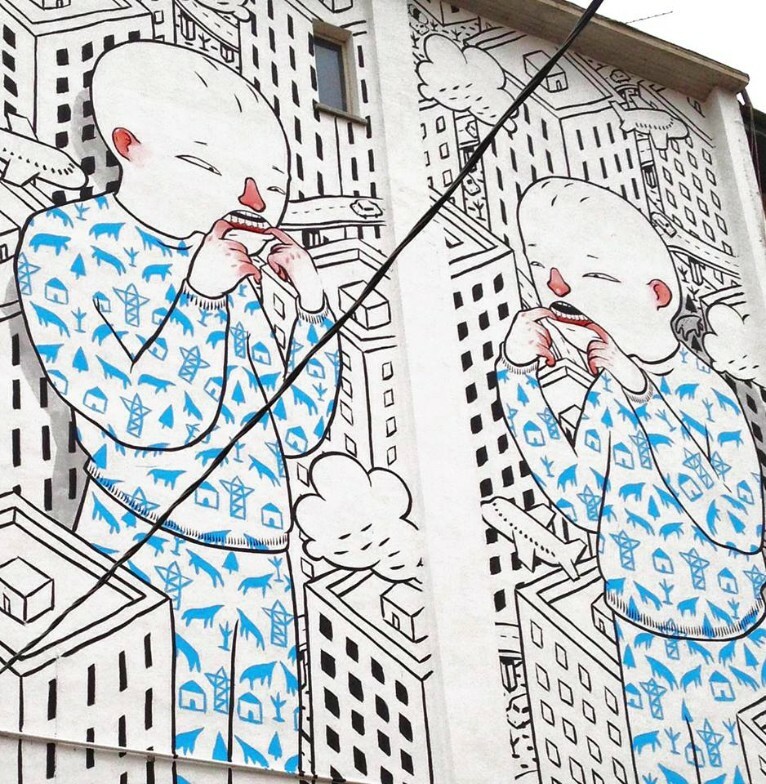 The figures are depicted as disproportionate and too big for their surroundings. This was meant to portray the modern hardship of living in an excessive world. 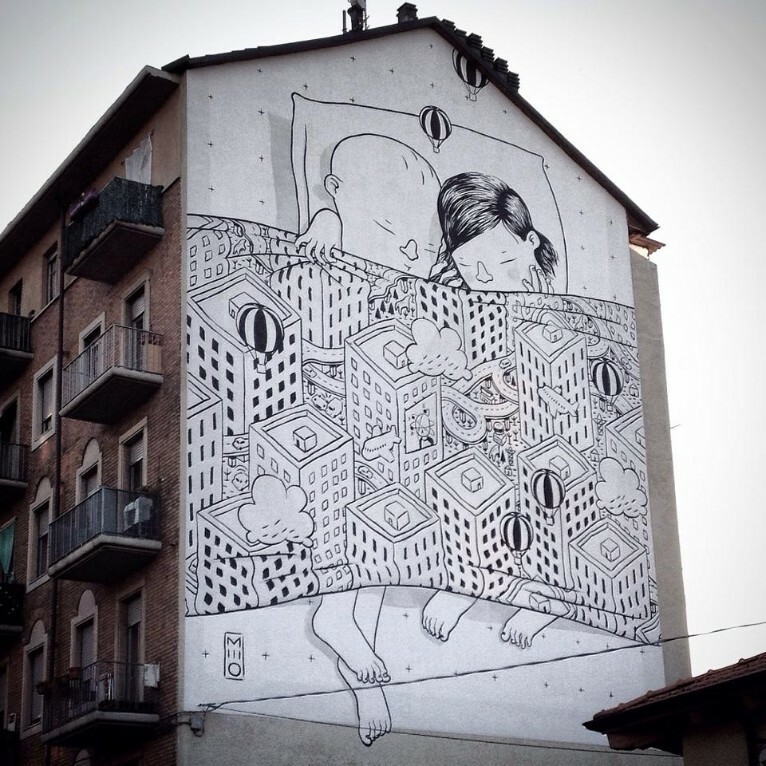 Millo states that the enormous cities and mega malls which make up our world are not human-sized, rather, they are exaggerated and disheartening. 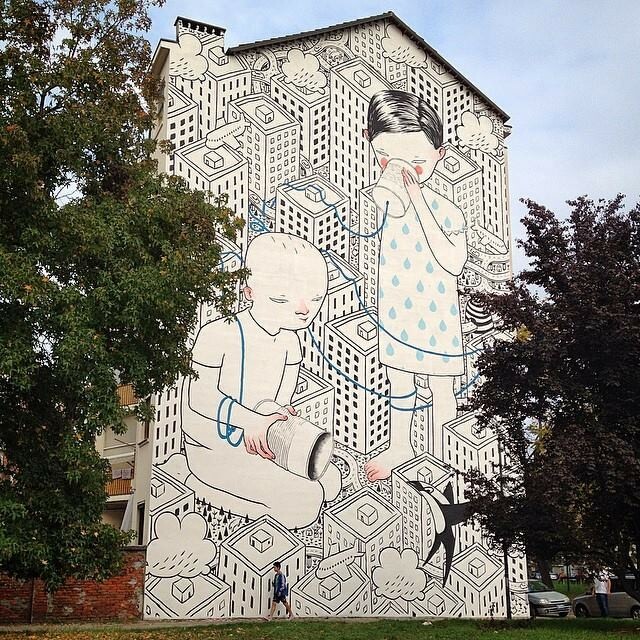 With this street art installation, Millo shifts the spotlight back onto humans. 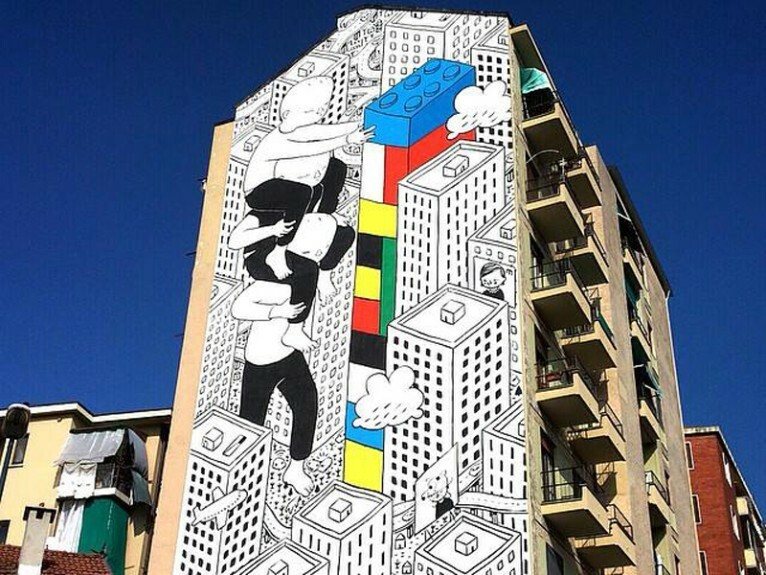 Millo, whose real name is Francesco Giorgino, has racked up quite a bit of experience as a street artist, as his work is spread throughout Europe. 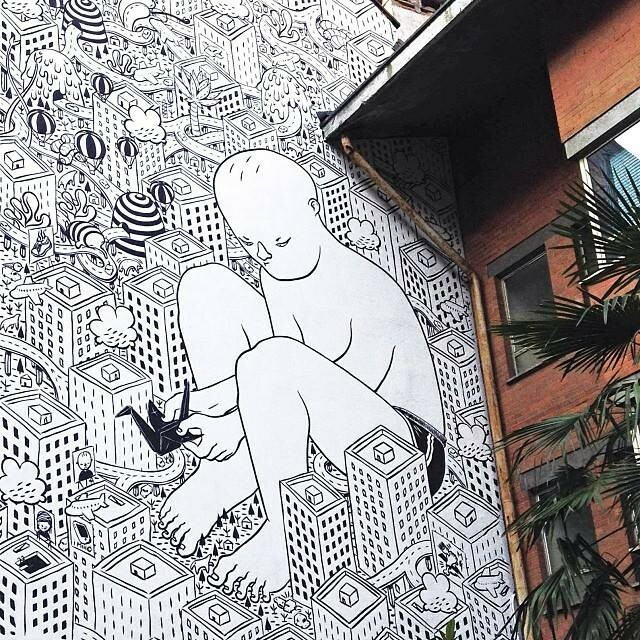 The medium suits his artistic intention perfectly, as he states it offers great visibility and provides a potentially infinite audience for his messages. 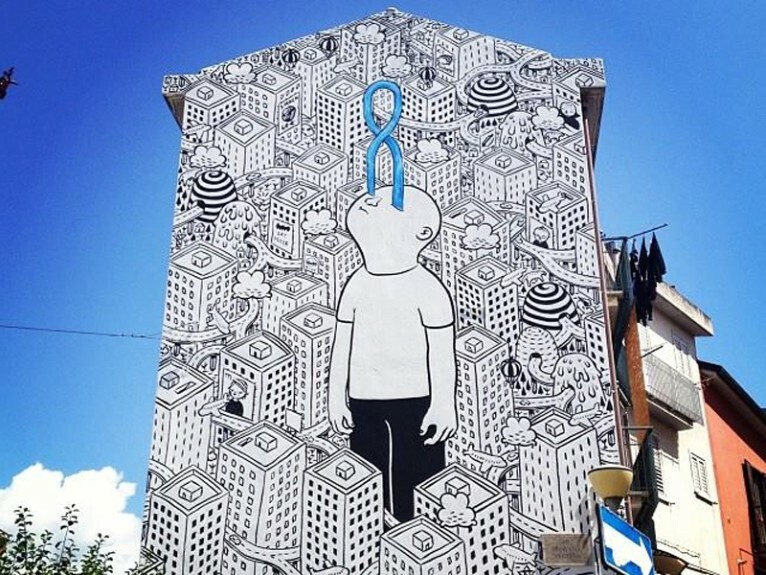 His message is ringing out loud and clear in Barriera di Milano, as his 13 facades have been met with acclaim and admiration.